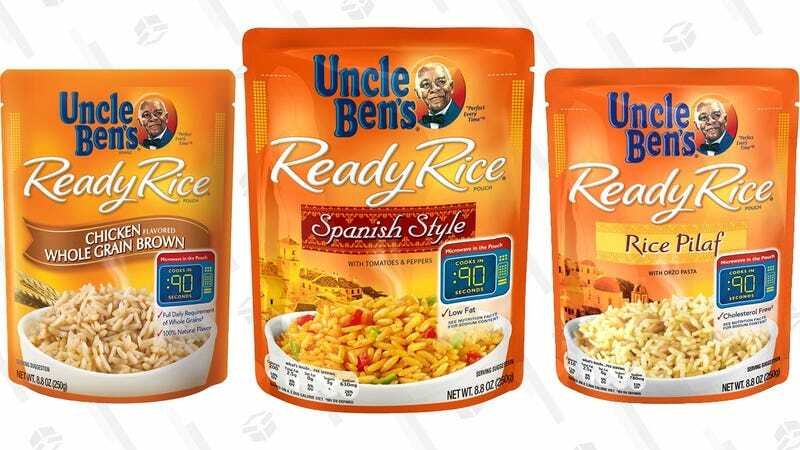 Sous-vide and the Instant Pot get a lot of attention, but I submit that the greatest kitchen innovation of recent years is actually Uncle Ben’s Ready Rice. Just 90 seconds in the microwave, and you’ve got a surprisingly delicious, perfectly cooked side dish. These normally sell for about $2 per pack at the grocery store (and they’re worth every penny), but today on Amazon, you can get a dozen of them for about $18 when you clip the 20% coupon. Several flavors are available, but I’m partial to the Spanish style.